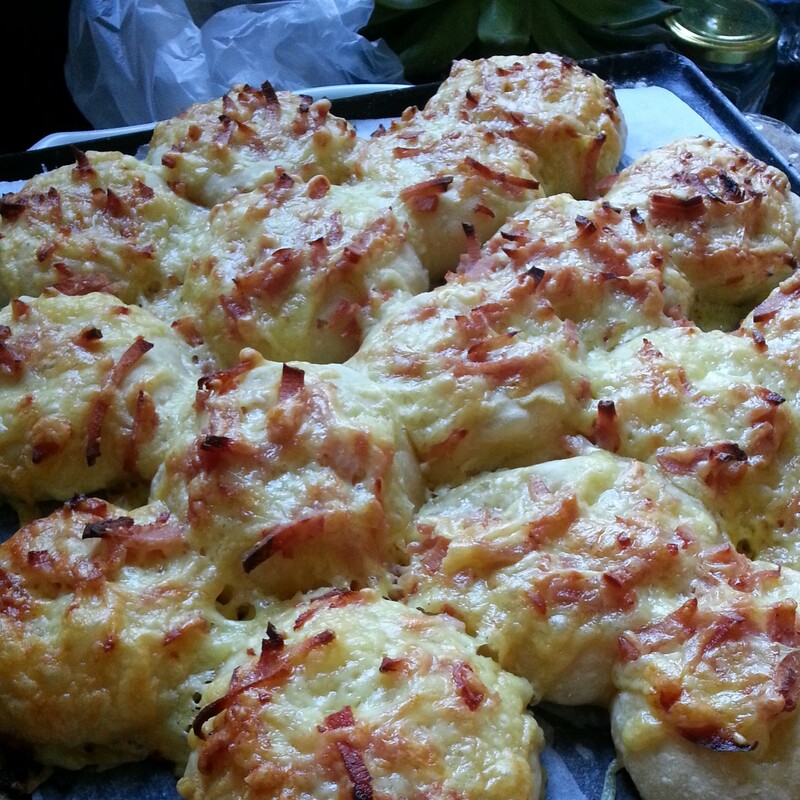 A delicious version of cheese and bacon (or ham) rolls where you’ll produce an entire batch for about the cost of two in the shops. The bread renaissance is still in full flight over here and this is the pinnacle. 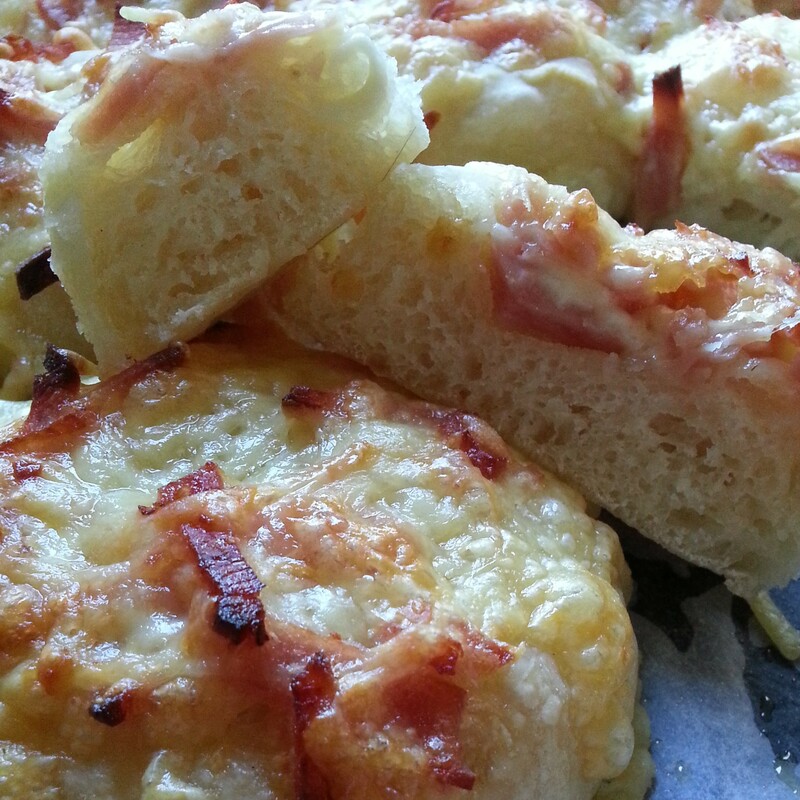 I use grated cheddar cheese and thick strips of ham (I buy it like that from the deli, you can get the cubes if you so wish) in equal quantities and learnt quickly to pile it on top of the bread – too little and it doesn’t produce the best result. I’ve made it with the beer no knead bread and the straight no knead variety. Turn it out onto a floured bench and turn it in on itself about 8 times – as in look at the dough on the bench, bring the top of the dough to the middle, the bottom up to the middle, the sides into the middle and then do it again. 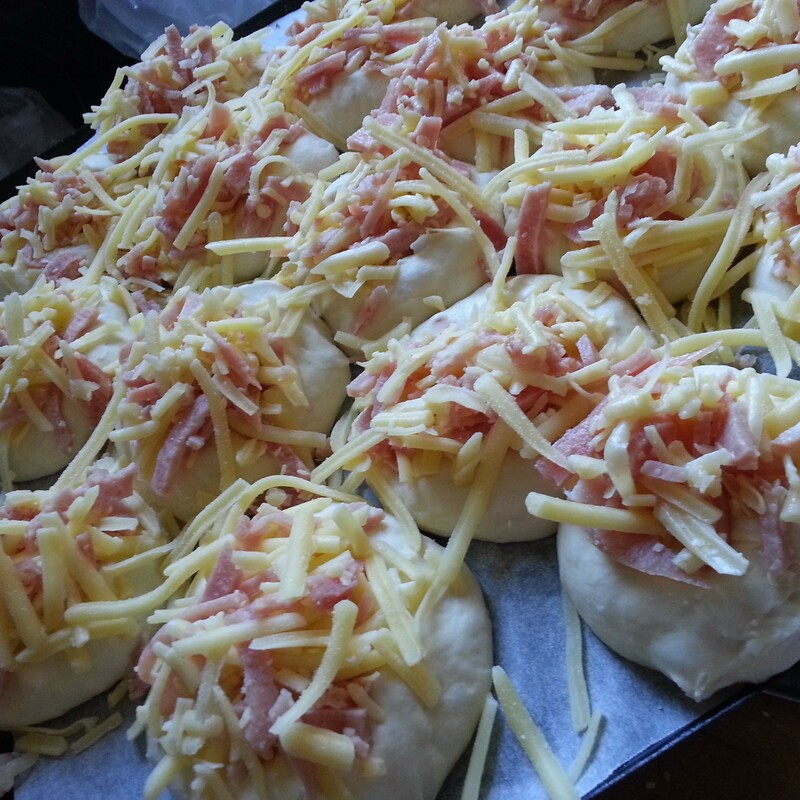 Break the dough into as many rolls as you like – 8 big ones if you want to replicate those of certain bread chains, 12 if you want a more reasonable number and 18 if you want delicious 3 bite wonders. 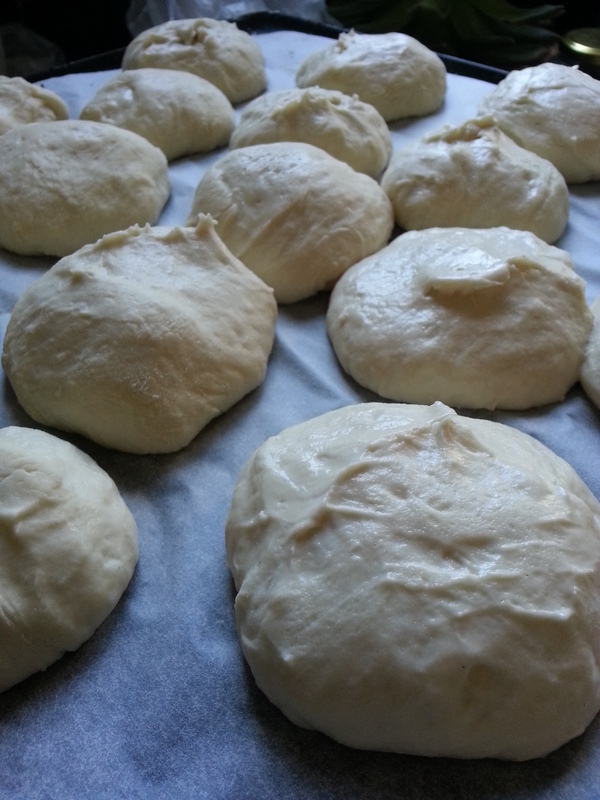 Shape them into nice round balls and place on a baking paper lined tray and cover loosely with either a damp tea-towel or glad wrap and set aside for 2 hours. 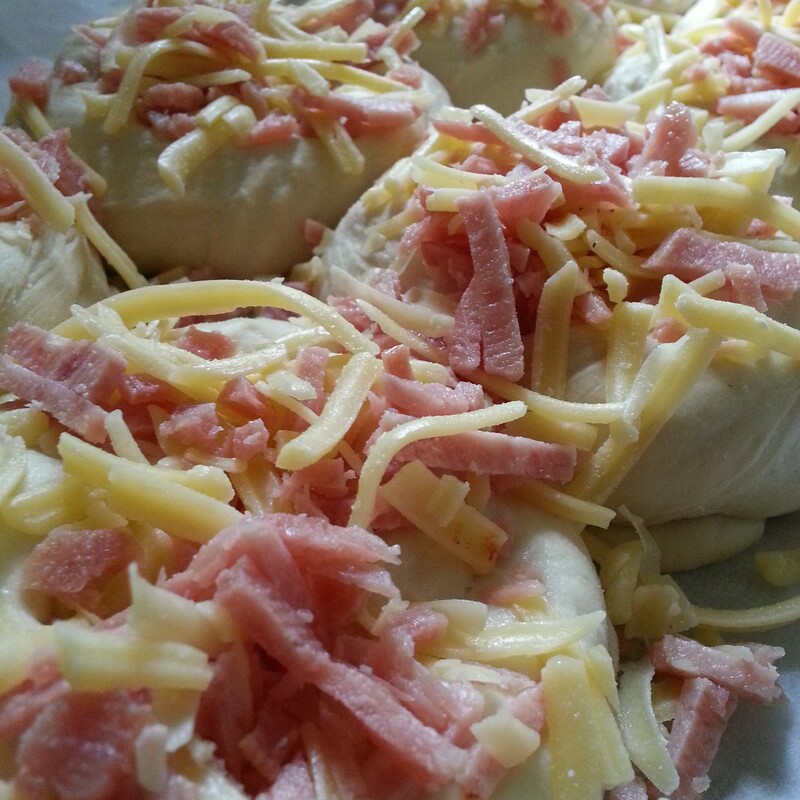 Take a big pinch of the cheese and ham mix and press it into the tops of each of the rolls. 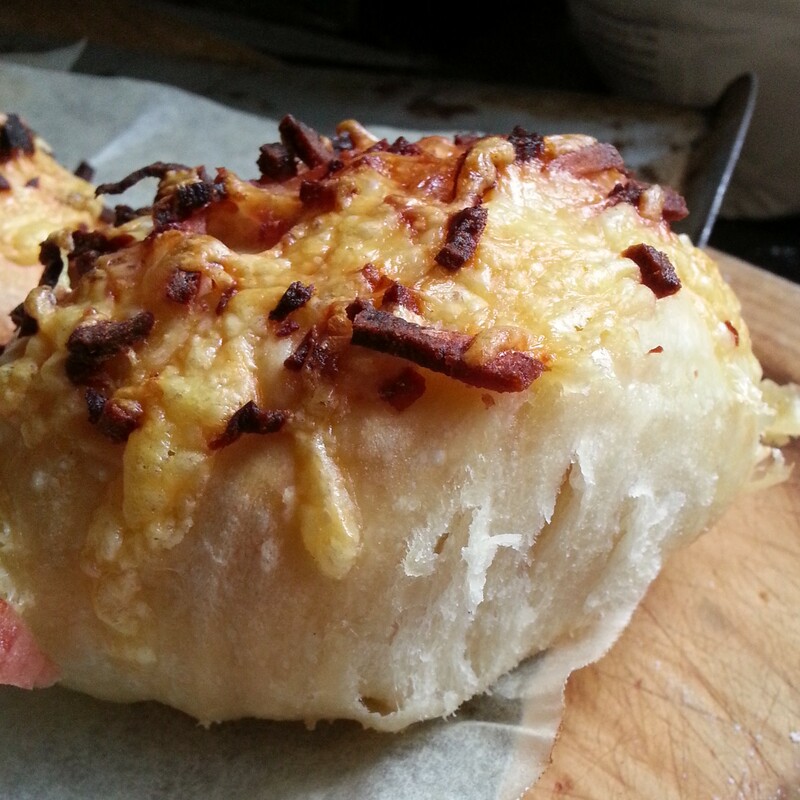 Don’t worry about fall off, that makes the yummy crunchy bits around the base of the roll. And then, once you’ve done each roll, spread any left overs as you see fit. Bake in the oven for about 20-25 minutes. You want some darker charred bits, golden crunchy bits and melty goodness.